An Indiana school district received a $700,000 grant from T-Mobile's EmpowerED program, covering the cost of personal MiFi hotspots for every student in grades 3 through 8 for the next two years. 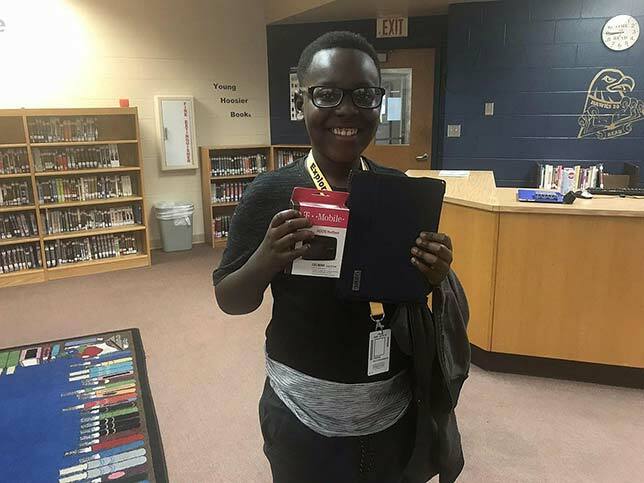 The Metropolitan School District of Decatur Township, located in Indianapolis, issued the devices along with iPads to students. High schoolers in the district already have comparable access through a separate program. A MiFi is a phone-sized wireless router that can be connected to a cellular network to provide internet access to multiple devices outside of the school building. Students received the T-Mobile-branded Alcatel LinkZone, an LTE hotspot that can deliver access to 15 users for up to seven hours on a battery. EmpowerEd is the company's program for narrowing the "homework gap" or "digital divide" by providing off-campus devices and data plans to students. The complete expense of the service is picked up by the company; there is no cost to students or their families. Log into and use Naviance, the district's college and career readiness curriculum. The school district is in its fourth phase of a multi-year digital transformation. This fall, every student and teacher — including those in grades 1 and 2 — will be outfitted with a mobile device for classroom use. Last year, the school system received a digital learning grant that enabled 48 teachers to create open education resources for use in their classrooms; that funding covered MacBooks for every participant.